Strawberries are often associated with Cameron Highlands and at Mountain Strawberry Farm, you can be close to how this wonderful fruit is grown and produced. 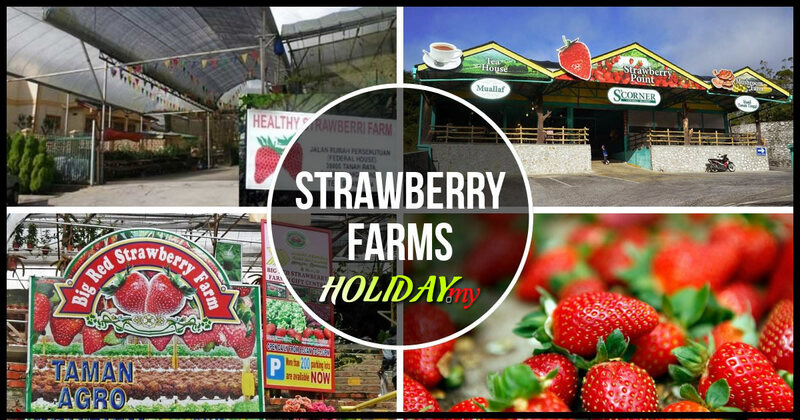 Apart from strawberries, Kok Lim Strawberry Farm is renowned for its strawberry produce for more than 10 years now. Visitors to the Kok Lim Strawberry Farm are allowed to pick and pluck their own strawberries as well as the vegetables if they like. The cool weather and climate of Cameron Highlands make this hill station the perfect place to plant and grow strawberries where they are among the main produce and suppliers of this fruit around the country. In Cameron Highlands, the strawberry farms are a must-see for any visitor where you can learn how this sweet plant is produced and buy some to take home with you. The Kok Lim Strawberry Farm is actually one of the largest farms in the whole of Cameron Highlands. It is located just outside the borders of Brinchang town where you can buy some products at the shops or pick out your own strawberries. Apart from that, the infamous Time Tunnel Museum is here while you can enjoy local snacks at the vintage cafe.